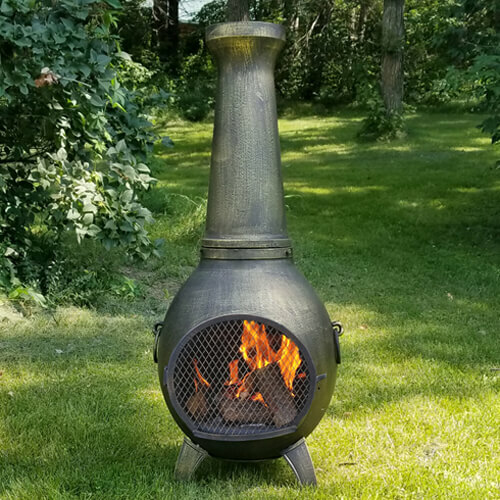 Solid cast aluminum construction with stainless steel hardware, fasteners, and mouth screen, the Prairie Chiminea is built to last. 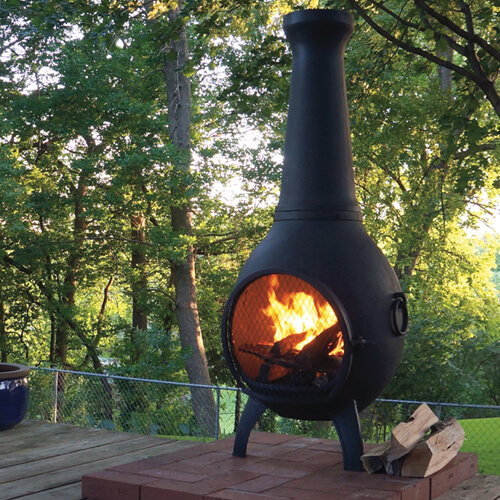 This large chiminea handles a full size fire log and has an extra large mouth opening of a traditional style chiminea for full view of the fire. 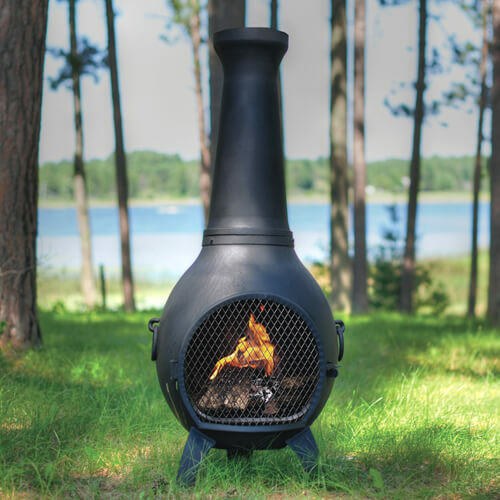 The stainless steel hinged safety door provides easy access for adding wood and roasting marshmallows. Neck can be removed and grilling grate (included) inserted for late night burgers or filets. 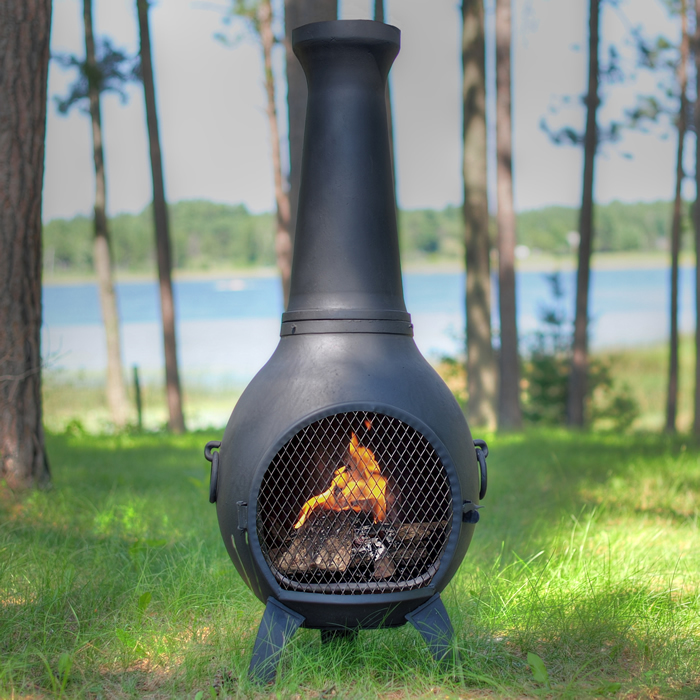 Clean burning, efficient drafting design, a great gift for anyone who enjoys relaxing in front of a fire. 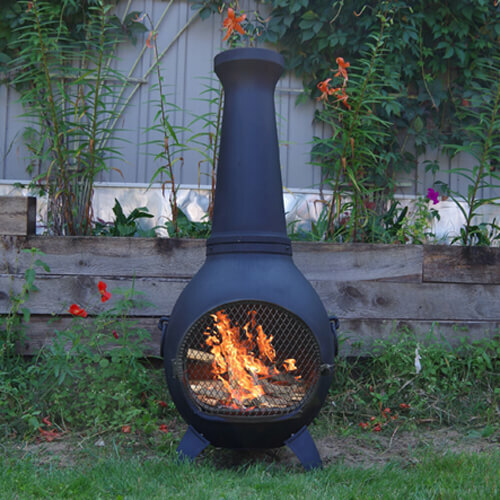 Cast Aluminum ALCH027 52" x 22"
Free Shipping on all orders to the Lower 48 States!